Schleich Hellhound 42451 - Toys & Learning - Schleich Specialists - 100% - Fast Service - Sale Prices. 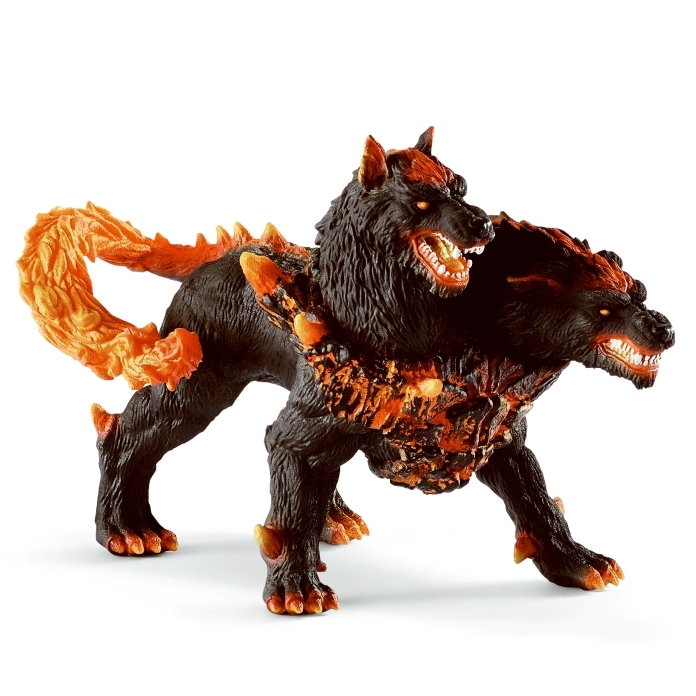 This Schleich Hellhound is one of the top quality hand finished products from the Schleich range of Dragons. Watch out Watch out there is a Hellhound about! New Schleich range just released called Lava World! This chunky red model looks really fierce and fiery, I am just wondering as it has two heads do they roar or growl at the same time and do they sound the same of have different growls to each other,I don't think I'll wait to find out!